Symbolism is a 19th-century movement in which art became infused with a spooky mysticism. It was a continuation of the Romantic tradition, which included such artists as Caspar David Friedrich and John Henry Fuseli. Had I lived in the late 19th Century, I’d like to believe I would have been a Symbolist. I’ll never actually know, but I think I would have felt at home among those artists and innovators. Much of what I do in the way of artistic endeavor has a Symbolist quality to it and perhaps nothing more so than this, The Archeon Tarot. 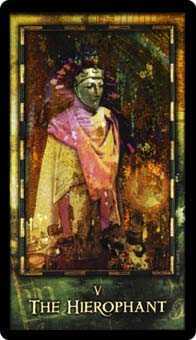 Begun in the late stages of October 2003, this project was not only my first endeavor with creating a Tarot deck, but it was also something of a personal journey. 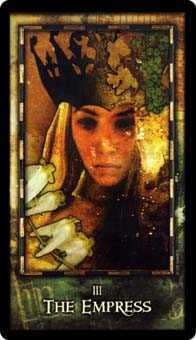 Each of the 78 images in the Archeon Tarot relies heavily on the collection of symbols that inhabit my mind. It is a curious mixture of traditional and non-traditional imagery from varied sources thrown into the blender of my subconscious. There will be things that you recognize, cultural and social conventions, but their interpretations may not always be what you would expect. 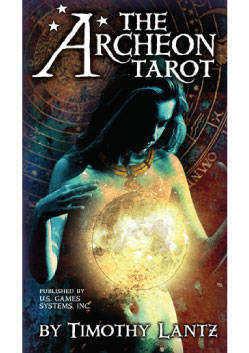 The name “Archeon Tarot” springs from several sources. “Archons” were regents of ancient Athens, whose jurisdiction covered civil affairs. The word “anarchy” dates from a time when strife and chaos prevented archons from being appointed by the Athenians. “Archeon” also relates to archeology. An archeologist sifts through layers of the past to discover meaning. Those who consult the Archeon Tarot sift through the layers of imagery in the cards, thus finding a way to harvest order and meaning from chaotic or seemingly unrelated events of life. Finally, “Eons” were considered to be emanations sent forth by God, or embodiments of divine attributes. Consider The Archeon Tarot a window into the mythology of one man’s world, or at least how he imagines his world to be. The Structure of the Archeon Tarot The first 22 cards of the Archeon Tarot are collectively called the major arcana, while the remaining 56 are called the Minor Arcana. 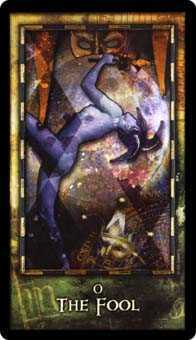 The major arcana represent the characters and themes which form the basis of the Tarot, while the minor arcana offers a perspective or focal point that may add to or help clarify the meaning of an individual card. 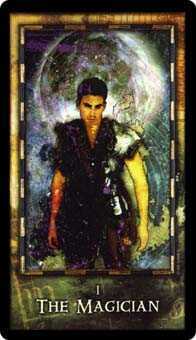 Many readers rely exclusively on the major arcana when seeking the advice of the Tarot. For this reason, I have placed a greater emphasis on these cards in this text. 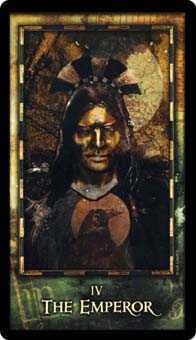 I fully encourage you, however, to explore the possibilities of including the minor arcana in your readings. Doing so can often provide a much deeper and more satisfying experience. 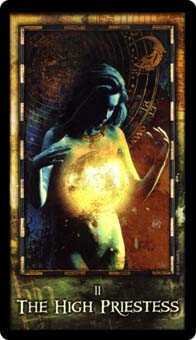 The Major Arcana The major arcana show us the outside forces influencing events beyond the control of the individual. They may be people, events, or even things in the individual’s environment which demand attention or affect the outcome of a given situation.